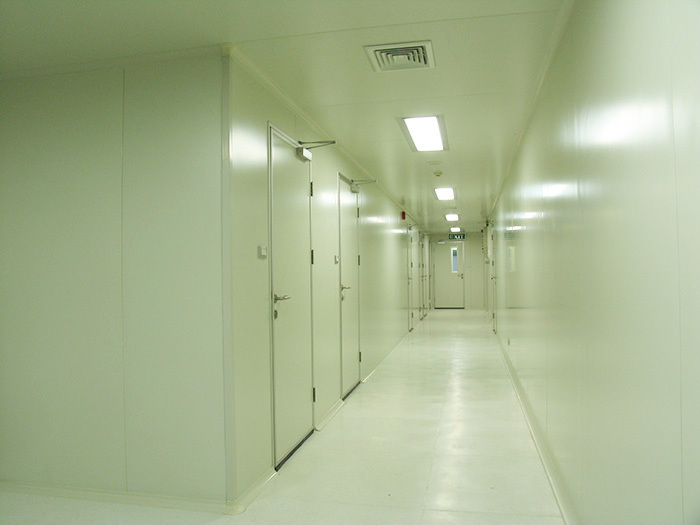 Greatwall cleanroom wall and ceiling surface are smooth and easily cleanable. 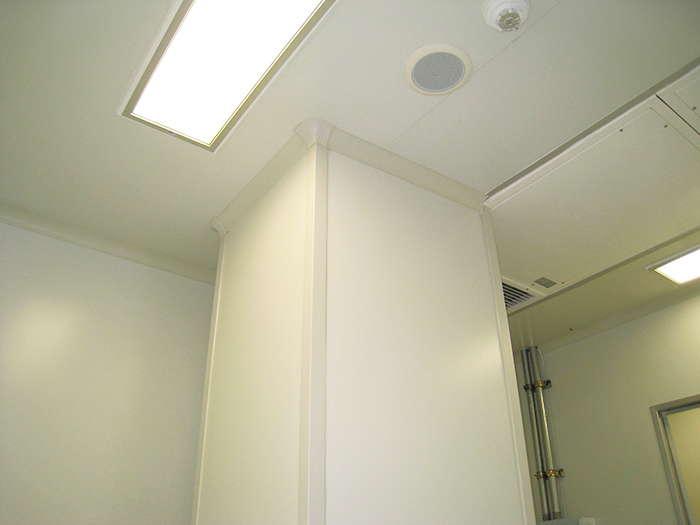 Fastener-concealed installation accessories and radius coving are applied to create fully flush corner transitions and seamless wall-to-ceiling and wall-to-floor connections. 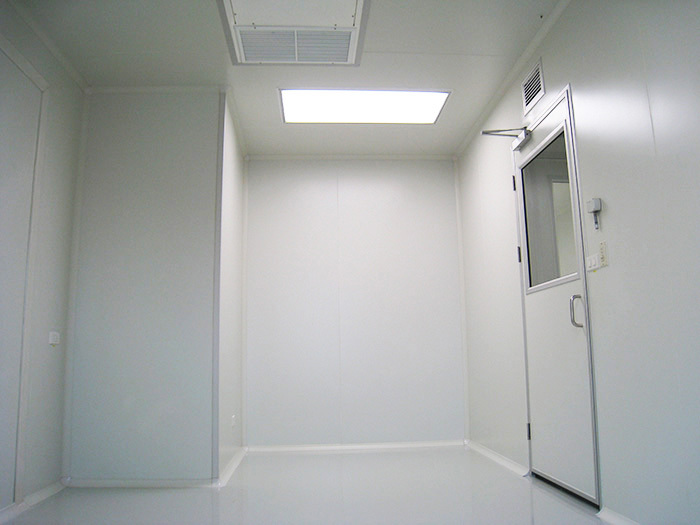 Panel skins are made of pre-painted galvanized steel coated with USDA food-safe Antibacterial polyester paint, which is free from heavy metal, cancerous, and toxic agents. 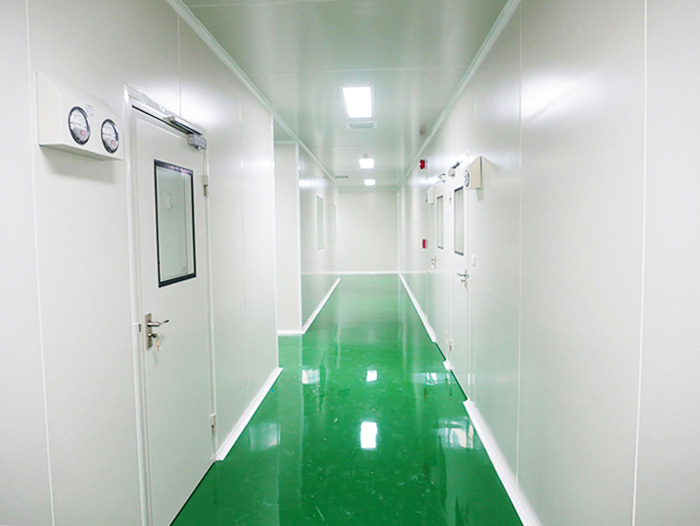 It can effectively reduce dirt retention and contamination, thus, appropriate for cleanroom both microelectronic and bio-pharmaceutical type. 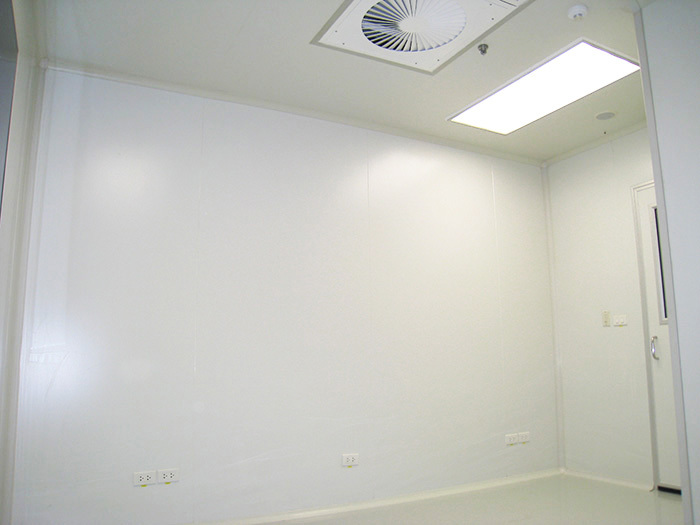 Panel systems are secure and absolutely air-tight. 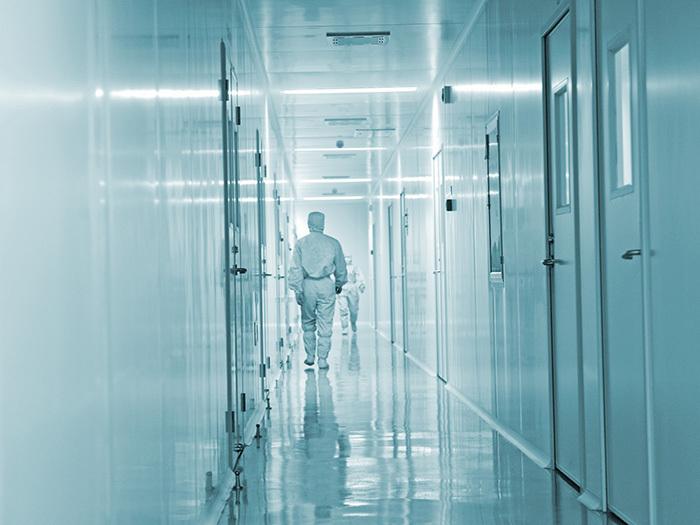 Structure of Greatwall cleanroom panel are connected to each other by inbuilt Cliploc or Intaloc system at panel edge providing positive joining of the panel with seamless connection. 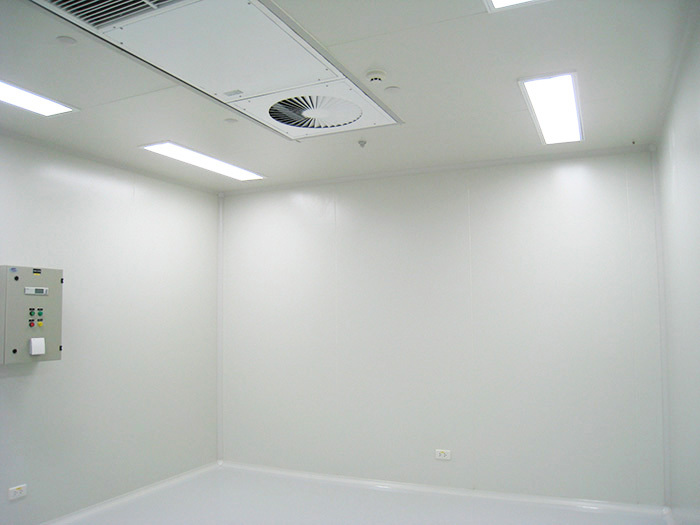 Ceiling system is designed to yield enough strength for walk-on load in case of maintenance or HEPA filter replacement. 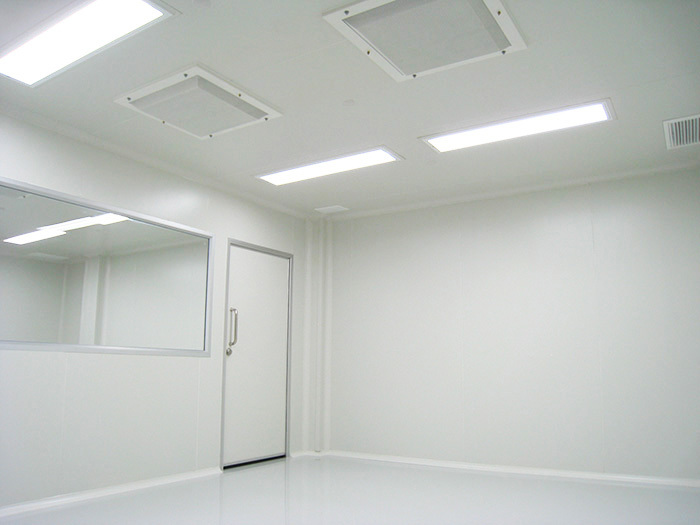 Installation of lighting or HEPA filter can be easily attached to ceiling at site. 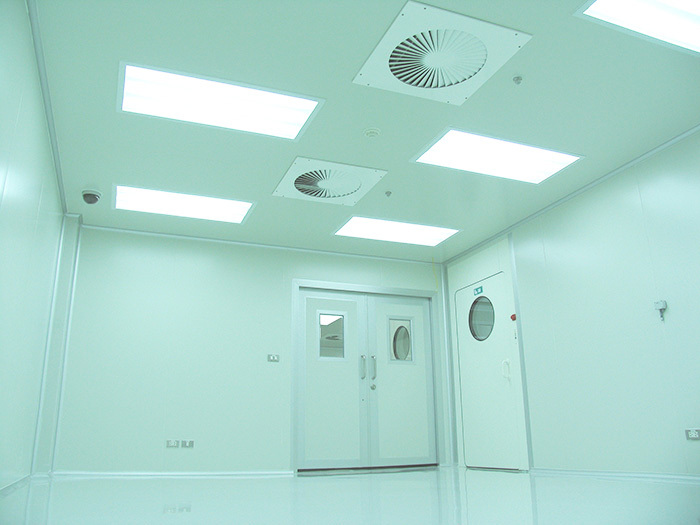 Our panel system offers both fully flush window (double glazing) or semi-flush window which designed specifically for cleanroom applications to be absence of ledges and eliminates corners that often collect dust but more cost effective solution. 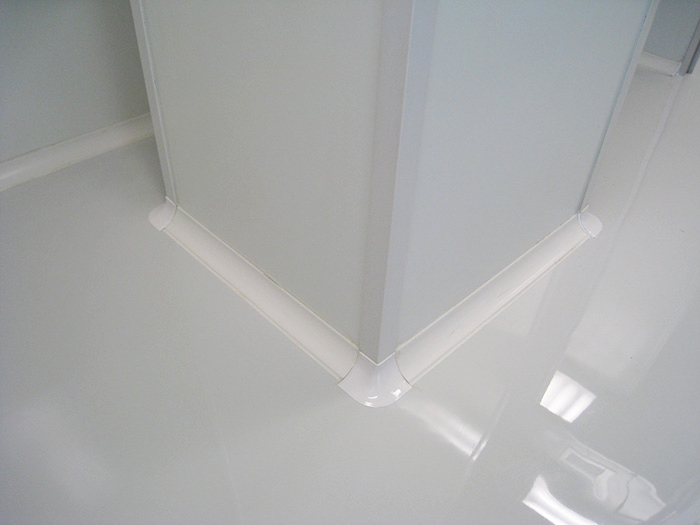 © Copyrights 2011 Greatwall (1988) Co., Ltd. All Rights Reserved.